How To Invest Rs 10,000 In India for High Returns? How To Invest Rs 10,000 In India for High Returns? Investing is the best way to grow your money. Gone are the days when people kept their fortune (gold) buried below their land. Everyone is now interested to make more money through their investments. However, when I look around, a very few people know how to invest their money intelligently. 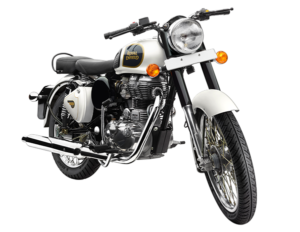 Most are even not aware of the investment options available to them in India. Today, I am going to suggest the best answer on how to invest Rs 10,000 in India for maximum returns. Therefore, be with me for the next 8-10 minutes to start your journey of financial investment as a successful investor. Besides, other investment options available in India are Real estates, gold, silver, forex, cryptocurrencies, commodities like petroleum etc. 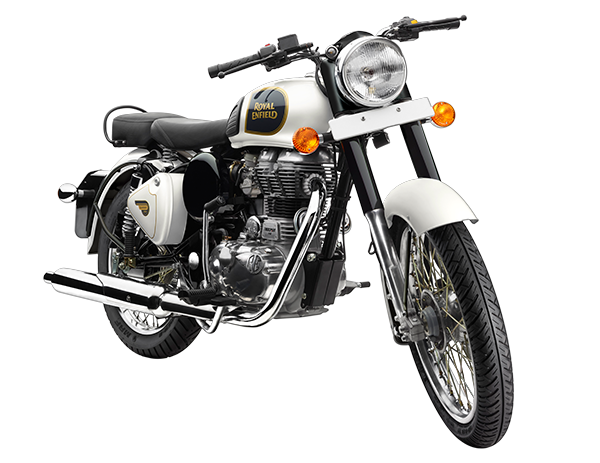 However, for an investment of Rs 10,000- these are little out of scope. So, how to Invest Rs 10,000 In India for High Returns? 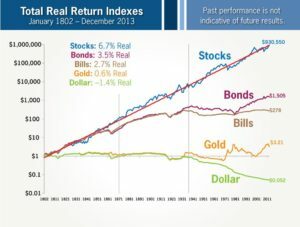 Among all the options mentioned above, Investment in the Stock market and Real Estate are the ones that have consistently out-performed all the other investment options in long duration. However, investing in real estate won’t be possible with an amount of Rs 10,000 until you take a lot of credits. Hence, Stock market is the best option available for investment of Rs 10,000 to get maximum returns. 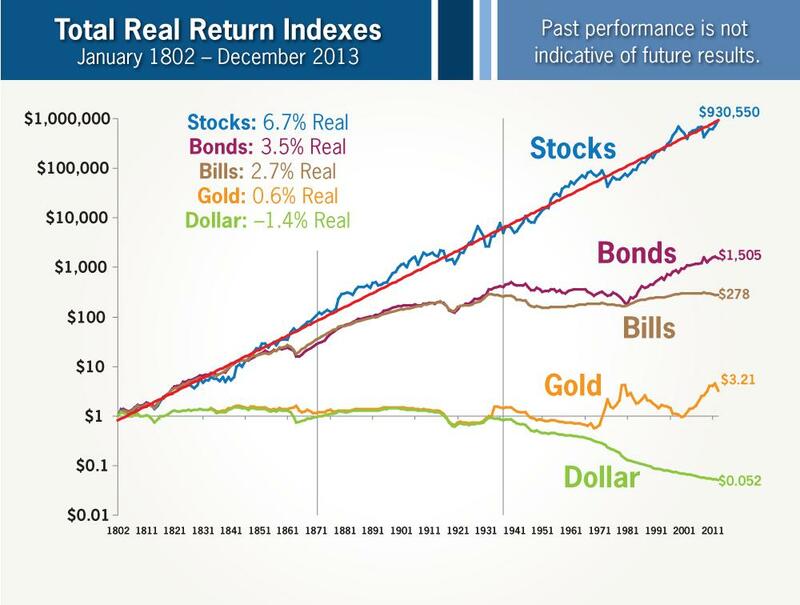 Here is a graphical comparison of returns on Stocks, bonds, gold etc for a period of over 200 years. Note: Although the above graph doesn’t show returns from Indian stock market, however, stocks (in general) follow the same trend compared to other investment options all over the world. Please ignore the figures in the chart. Now. 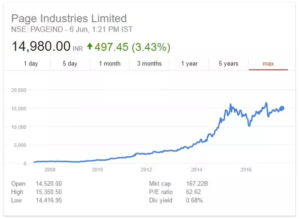 let us analyze the past of Indian stock market and find out -how much return you might have got, if you had invested Rs 10.000 in a few famous companies, a few years ago. Also Read: How to follow Stock Market! If you had invested Rs 10,000 in MRF 10 years ago, you would have got a handsome return of Rs 1,70,000 i.e. Rs 1.7 lakhs now. 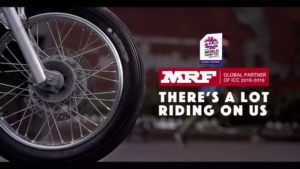 Just if any bike servicing guy had noticed how many people are using MRF tyres and had bought few stocks of MRF Tyres a few years back, he would have been a rich happy man by now. Eicher Motors, Page Industries, MRF, Symphony– all are common companies in the Indian market, which every Indian might already know. Most of the people have directly or indirectly used their products. Further, we can also notice that all these multi-bagger companies (companies which have given multiple time returns) have provided a great product/service to their customers, which resulted in constant growth in sales and profits. 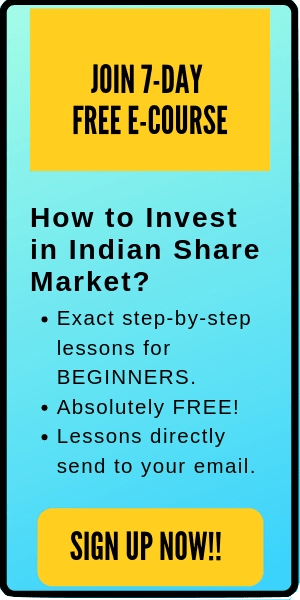 How To Invest Rs 10,000 In India in Stock Market? Invest in the company, not the stock. 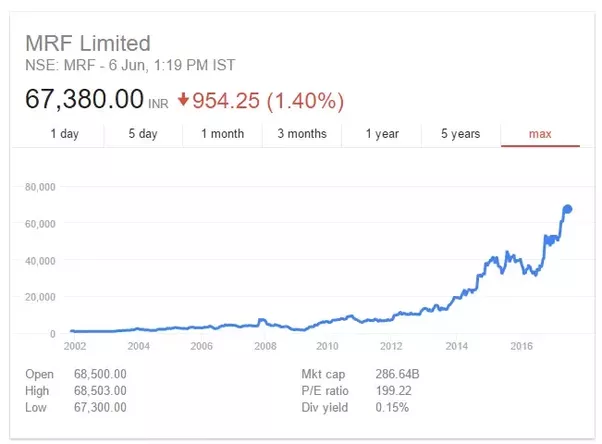 If the company is doing great, the stock will also perform well. Research the company carefully before buying a stock. Understand the company first. Learn about its product and services. Study the company’s fundamentals. If you want to read more about how to select a stock, you can find an excellent post here: How To Select A Stock To Invest In Indian Stock Market For Consistent Returns? Everywhere there is a hullabaloo about diversification while investing- ‘Do not put all your eggs in the same basket’. However, in reality, the concept is different if we expect maximum returns from small investments. Do not diversify your portfolio when you are investing just Rs 10,000. Instead, invest in just one or two great stock. Diversification is used when you are investing a huge amount of money like Rs 50k or above. It’s the big bets which can help you to get great returns. Diversification kills the profit when the investment in small. Let’s understand this with an example. 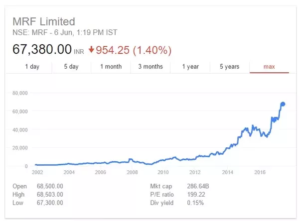 Suppose, you invested Rs 10,000 in a good stock. 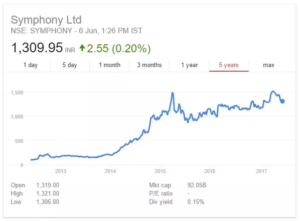 The stock gave a return of +50% percent in a year. Then, the total return amount will be Rs 15,000. Now, let us assume another scenario in which you invested Rs 10,000 in 3 stocks. The return on the stocks after a year are +10%, +50%, and +15%. The overall return amount will be Rs 12,500 (+25%). All the three stocks cannot give similar returns and one of them might be fundamentally strongest. If only you had invested in the fundamentally strongest among the three, you would have been able to get a double return (from 25% to 50%) on your investment. In addition, there is not much to lose for small investment like Rs 10,000. 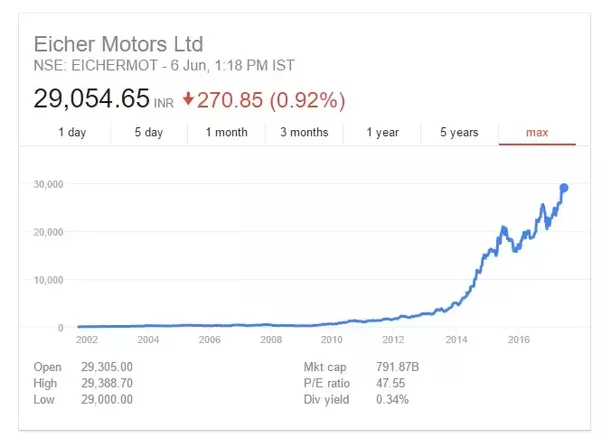 People diversify their portfolio so that they won’t lose lakhs of rupees (and go bankrupt) if their investment strategies failed. 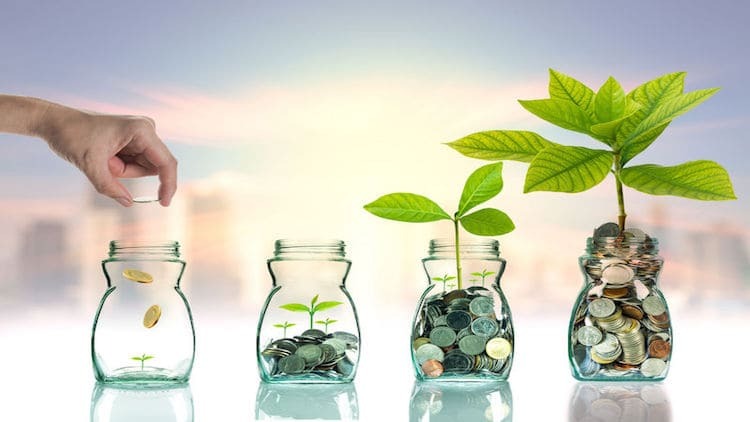 However, if you are planning to invest just Rs 10,000; then the reason for investment must be that you have extra savings and you want to get a good return on the investment. In such cases, go for a big sure shot. Quick Note: If you do not have a big risk appetite, then ignore this tip and diversify your investments. You don’t need to find an unknown hidden stock to get multi-bagger returns. 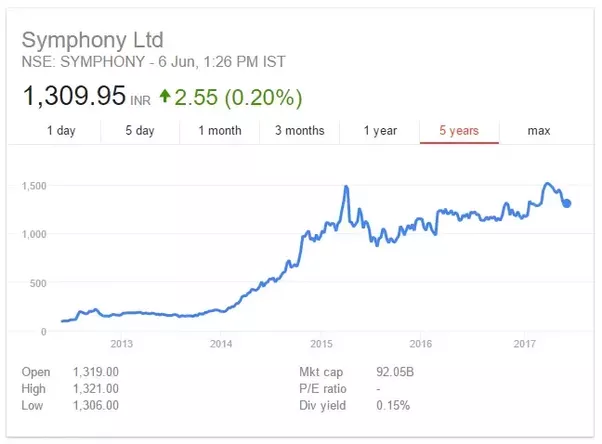 There are a number of common well-known stocks (Eicher motors, Symphony, Page Industries, MRF etc) which have given multiple times returns in the past and will give in the future. Look for a growing company around you. Study if they are listed on the stock exchange. Learn the fundamentals of those stocks. And if they are fundamentally healthy, invest in the stocks. This is an effective way to find multi-bagger stocks, even for regular investors. This concept was introduced by the legendary fund manager Peter Lynch in his best selling book ‘ONE UP ON WALL STREET’. These companies have the potential to become a large-cap company in the long term frame. They have a high growth rate compared to the large caps which have already reached saturation and the chances of large caps giving multiple time returns are highly unlikely. In addition, Mid-cap companies have good capital to stay out of debt and live a long life. A good growing mid-cap stock can easily become a multi-bagger. Few people advice to buy penny stock or the small-cap stocks for getting high returns. However, for the small caps, the chances of the company growing broke is also high. Most small-cap companies are not able to sustain in harsh economic conditions which is sure to occur once or twice in the long-term period. Therefore, investing in small-cap companies has more risk than reward. Quick Note: If you are new to stocks and confused where to start, here’s an amazing online course for the newbie investors: INVESTING IN STOCKS- THE COMPLETE COURSE FOR BEGINNERS. Enroll now and start your stock market journey today! Your article is very useful for me. Thanks for that. Wonderfully written article..could you suggest few stocks to buy now? I am looking for both short term and long term investment. I got very useful information from your blogs. I am new in Stock market. so it helps me a lot. Could you please explain how we can check company’s fundamental & which elements you consider as fundamental.. like revenue, profit, expense. as I investigate some company’s on NSB website and all company’s have increasing profit before last year. I am very confused. Please guide me about elements of fundamental and how to choose grate stock. Thank you Pawan. Really appreciate it. Nice sir. It’s called lambi race ka chhoda. Sir, very useful really. Pls suggest some stocks for systematic investments for 10 years. Pls send . Hi Gokul. Thanks for comment. As you are investing is long term, I will suggest to invest on some fundamentally strong large cap companies. Also do diversify your protfolio with stocks from different sectors. Besides, I do not give stock recommendations. This blog is only for educational purpose. ITS VERY USEFUL DETAILS ABOUT NSE & BSE. Hi Vishu. Thanks for the comment. Appreciate it. If you have any doubts, feel free to mail me at kritesh@tradebrains.in I will be glad to help you out. Thanks for a detailed blog, it is really informative. Hope ill apply the knowledge for good. Keep it up. Intraday trading refers to the trading system where you have to square-off your trade on the same day.Squaring off the trade means that you have to do the buy and sell or sell and buy transaction on the same day before the market close. You can read more here. Tell me sir from where we collect information about company or their fundamental? You can use financial websites like Screener or moneycontrol. Glad it’s useful for you. Hi megha. Thanks for your comment. I appreciate it. Further, I donot give personal stock recommendation. There are a number of stocks in the market with huge potential. Do the research and you’ll find it. I hope the article is useful to you. REGARDS. Hi. your article did good to my understanding. with regards i would like to know if investing the said amount in Bitcoins or stocks would be more profitable, let aside the security. Bitcoins and cryptocurrencies are giving high returns these days. However, they also have a high risk and volatility. 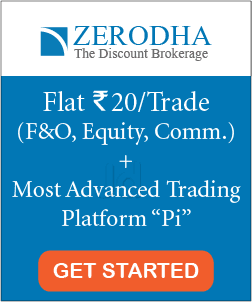 I am really thankful for your blog….As i am just started investing by Rs.5k using zerodha. Glad it was helpful. Cheers. Mutual funds are also great. Many funds are constantly beating the index. Thanks for the valuable information for tge begineer in trading. Mea while .I want to invest litle like 10k amount every montth. so will i get good returns on midcap.onthly as well. Hi Rakesh. Good to hear that you are planning to invest regularly. If you need help regarding selecting stocks, I have written a detailed post which you can find here: https://www.tradebrains.in/how-to-select-a-stock-to-invest-in-indian-stock-market/ I hope it helps. Cheers. Hi Shamik. Glad that you are planning to invest in stocks at such a young age. Mid-caps have huge potential to become large caps in future and they have a lower risk compared to small caps. That’s why it’s a good option. I hope it helps. Cheers. Which is the best stock to invest in may 2018? I am a beginner and this is the first time I am investing in stock market and i want to invest 10000 rupees for good returns . Please help me to buy a good stock. Hi Hrishi. 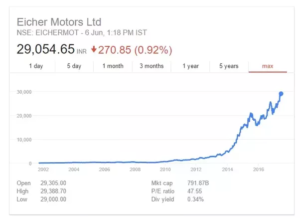 For beginners- I would recommend investing in blue-chip stocks. They are safe and easy to investigate. I hope it helps. #HappyInvesting. let me know about long term investing? and groth MF? Hi Dhiryasheel. 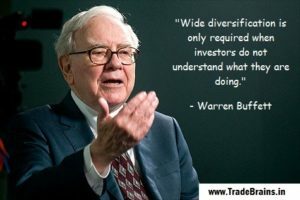 You can learn more about long-term investment and growth mutual funds in my online course here– https://courses.tradebrains.in/p/investing-in-mutual-funds Coincidently, I haven’t covered much about the growth investing on my blogs as they generally cover stock investing. I’ll try to write a post on growth and dividend mf investing soon. I hope it helps. Cheers! !